Norwegian Cruise Line and Boingo Wireless (NASDAQ: WIFI), the Wi-Fi industry’s leading provider of software and services worldwide, today announced that the line is sponsoring free Wi-Fi access at select New York subway stations and John F. Kennedy (JFK), LaGuardia and Newark Liberty International Airports during the month of February, in celebration of the line’s newest ship, Norwegian Breakaway. Complimentary Boingo Wi-Fi is immediately available for users of all Wi-Fi enabled devices at Manhattan subway stations supported by Transit Wireless’ state-of-the-art network, and for laptop users at the New York airports, courtesy of Norwegian Cruise Line’s newest ship, Norwegian Breakaway. Arriving in the Big Apple in May, the 4,000-passenger Norwegian Breakaway will bring the best of NYC to sea, and will be the largest cruise ship ever to homeport year-round in New York City. The ship will feature the high caliber of dining and entertainment New York is known for, including three Broadway shows like ROCK OF AGES, restaurants from Iron Chef Geoffrey Zakarian and fitness classes from the ship’s godmothers, the legendary Rockettes. The sponsored Wi-Fi hotspots are part of the Cloud Nine by Boingo location-based media platform, which reaches more than 100 million consumers annually across Boingo’s global portfolio of owned and operated hotspots, as well as thousands of partner hotspots. In addition to the New York airports and subway system, the company’s global advertising network includes more than 60 additional airports, brand name hotels and cafes, stadiums and arenas, shopping centers and more. Royal Caribbean Announces 2014 Summer Cruise Schedule From New York and Baltimore. Royal Caribbean's Explorer of the Seas (Pictured) to Sail from New York / Cape Liberty to Bermuda, Bahamas and the Caribbean. Grandeur of the Seas to operate similar itineraries from Baltimore through August 2014. In the Northeast U.S., vacationers can choose seven-night Bermuda or Bahamas itineraries aboard the newly revitalized Grandeur of the Seas, departing every Friday from Baltimore. 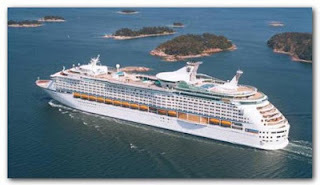 For those who don’t want to wait and wish to experience Grandeur of the Seas during its inaugural year serving Baltimore, Royal Caribbean is offering up to $200 onboard credit for all May through December 2013 sailings. The onboard credit offer applies to all new individual bookings made between February 1 through 28, 2013. Guests can enjoy $50 onboard credit per Oceanview or Inside stateroom (Option Code: SLY1); $100 per Stateroom with Balcony (Option Code: SLY2); and $200 per Suite-category stateroom (Option Code: SLY3.) Offers are not combinable with any other promotion and additional restrictions may apply. Explorer of the Seas also will offer convenient cruise getaways for New York metropolitan area vacationers. The ship will alternate five-night Bermuda itineraries and nine-night Bermuda and Caribbean itineraries on Saturdays and Thursday, respectively, departing from Cape Liberty Cruise Port in Bayonne, N.J. Guests aboard Grandeur of the Seas enjoy more of Royal Caribbean’s acclaimed entertainment, dining and onboard amenities that debuted aboard the Oasis-class ships. The ship’s recent bow-to-stern revitalization includes the Royal Babies and Tots Nursery, technological upgrades, an outdoor movie screen overlooking the pool deck, refreshed furniture, carpet, upholstery and staterooms, as well as new spectacular aerial entertainment in its six-deck Centrum. The cruise line’s suite guests and valued Crown & Anchor Society members also can enjoy Grandeur of the Seas’ new Concierge Lounge and Diamond Lounge. Furthermore, guests can savor new onboard dining choices, including Giovanni’s Table family-style Italian restaurant, Izumi Asian Cuisine, Park Café, Chops Grille steakhouse, an exclusive and intimate Chef’s Table co-hosted by the Executive Chef and Sommelier for a five-course, wine-pairing experience, and a transformed Viking Crown Lounge that features a new menu of bite-size delectables, as well as a stunning new design. 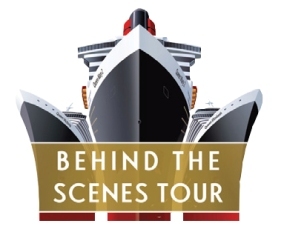 Adding to its comprehensive catalogue of on board activities, Cunard Line is now offering Behind the Scenes Tours for the curious guest. Led by Cunard senior officers, the tours offer guests unprecedented access to the ships’ private areas, such as the Medical Centre, Engine Control Room, Butchers Shop and the Mooring Deck. Topics range from environmental concerns, such as recycling 15,000 litres of used cooking oil, to the logistics of stocking more than 5,000 lines of consumable products, such as shower gel and beef joints. The Bridge – At the widest part of the ship, the captain and navigational officers greet guests and give a tutorial of all the dials, buttons, radars and navigational charts that help them safely helm Cunard’s Queens. Royal Court Theatre – Guests peruse more than 3,000 costumes in the costume store, and light and sound engineers give hands-on lessons in operating the stage equipment. Galley and Provisions – Guests catch a glimpse of the complex logistics of moving provisions around the world in containers and picking them up in different ports mid-voyage, to accommodate 11 tonnes per day. The tour includes stops at the Food Stores, Butchers Shop, Freezers, and the Galley. Mooring Deck – Guests learn the purpose of the anchor winches, windlesses and other critical machinery on the most forward part of the ship. Medical Centre – Guests tour Cunard’s floating hospital and meet the exceptional medical staff that keeps everyone on board healthy and well. Burma Road – Guests tour the only main crew passageway to run the entire length of the ship and get a behind the scenes look at where the crew and officers socialise after work. Waste Handling Room – Guests observe Cunard’s round-the-clock waste handling operation, and learn the differences between five waste sorting streams: hazardous, recyclable, suitable for incineration, food waste and suitable for donation. Available on board Queen Mary 2, Queen Victoria and Queen Elizabeth, Cunard’s Behind the Scenes Tours last three and a half hours and cost $120 per person. Currently, one tour with a maximum of 16 guests is available per voyage and can be booked on board through the Tours Office.